Lee Vining Creek may not be very long, but it sure does have an exciting, beautiful and important run. The creek begins as snowmelt in the Ansel Adams Wilderness and then works its way through lakes like Tioga and Ellery before descending more than 1,600’ in about a mile into Lee Vining Canyon. It then bounces and carves its way for about 16 miles to Mono Lake. Along the way, the creek offers a few smaller waterfalls, some great fishing holes, a handful of nice campgrounds and all kinds of impressive views of Tioga Pass as it carves its way up to the eastern entrance to Yosemite National Park. Lee Vining Creek is essentially divided into two sections. The upper section along Highway 120 is a favorite spot to cast or have a picnic for folks headed to or from the park. 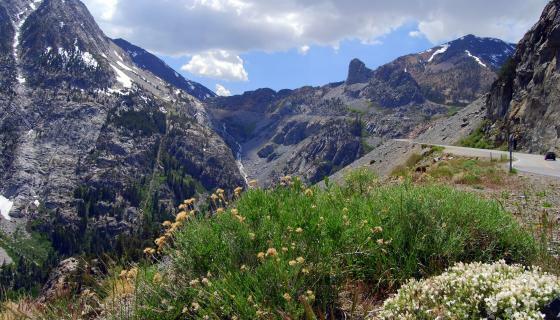 The Lee Vining Canyon stretch is great for those who don’t want to drive up the rugged mountain pass or are looking for some stunning camping options. And the lower stretch past the town of Lee Vining and down to Mono Lake isn’t accessed for much, but isn’t too far from the Tioga Gas Mart and Whoa Nellie Deli, home to some of the best gas station food in the country. Directions: Highway 120 runs along Lee Vining Creek as it makes it way from Highway 395 up Tioga Pass and into Yosemite National Park. There are a few dirt roads that access the Lee Vining Canyon at the lower end of Tioga Pass and the road passes many options to access the creek after cresting Tioga Pass at Ellery Lake. There are a handful of campgrounds along Lee Vining Creek. Big Bend and Aspen are both located by small waterfalls and offer solid fishing holes. Like the Lower Lee Vining Campground, they are all first-come, first served with no reservations allowed. The campgrounds in Lee Vining Canyon are all primitive and accessed by dirt road, but offer stunning views and easy access into the town of Lee Vining, where several hotels and restaurants, a market and sporting goods shop can be found. Sites can be reserved online at recreation.gov or by calling 877-444-6777. Directions: From Highway 395 head west on Highway 120 and turn left at Poole Power Plant Road. The dirt road leads to several campgrounds along the creek. 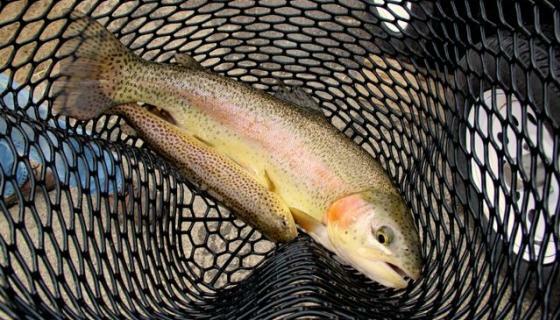 Lee Vining Creek is really a couple different fisheries. The upper stretches that lead from Saddlebag Creek and Tioga Lake alongside Highway 120 down to Ellery Lake are good roadside options. The creek is small in these stretches but there is some good pocket water and the lakes along the way get stocked regularly and usually fish well. The main stretch through Lee Vining Canyon has some great holes and is known for holding healthy stocked rainbows and brown trout that have naturally reproduced, making them as wild as the rugged mountains that surround the canyon.